HARMLESS THOUGHTS: In the Catalog! 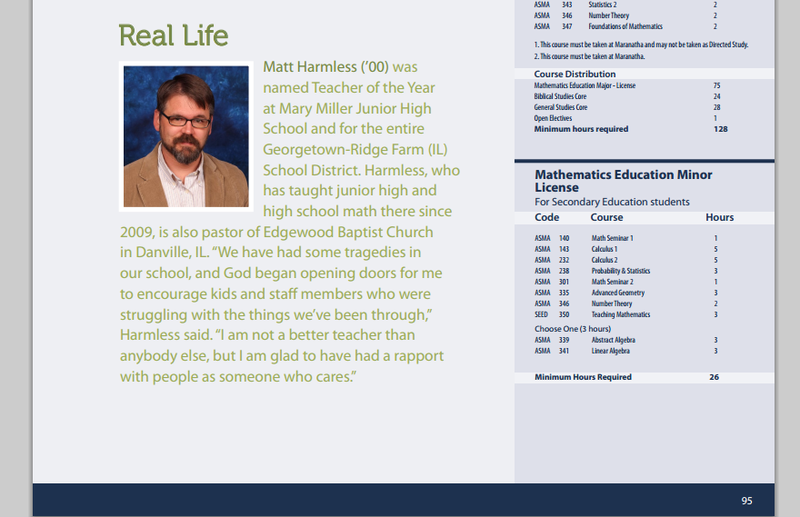 I made it into the Maranatha Baptist Bible College Catalog! I am on page 95 of the catalog. I am in the Math Education section. I knew that they were thinking about putting me in there, but I hadn't heard whether or not they had actually done it. I sent them my "teacher photo" from the school.